Electronic music pioneer Milton Babbitt, who is 93, will engage in a public conversation with Vassar music professor Richard Wilson, followed by a performance of Babbitt’s work by the Argento Ensemble (January 24). Since their formation in 2006, rare degree has been active in commissioning, performing and presenting electroacoustic music throughout the United States and Europe. Comprised of saxophonist Michael Straus and bassoonist Dana Jessen, the duo frequently collaborates with composers, improvisers, dancers, and visual artists around the world. Mindbreath Trio is an experimental ensemble consisting of Perry Conticchio (reeds), Daniel Barbiero (double bass) and Alan Munshower (percussion). The trio explores a spontaneous melodic prosody that translates thoughts and images from mind to breath to sound: Improvisation as exhalation of consciousness. Their approach fosters a conversational intimacy that combines the bodily presence and directness of jazz with the cerebral nuance of contemporary art music. Trio O is Rich O’Meara (Silent Orchestra) on vibes and percussive textures , Kevin O’Meara (Videohippos, Blood Baby) on drums, crow bar and vocal textures and Gary Rouzer (Vector Trio, Nine Strings) on NS bass cello and amplified textures. Our 9th festival is happening JAN Friday 22- Sunday 24 2010 in the Blue Mountains. 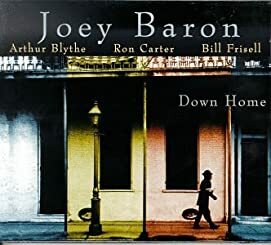 Combining technical acuity with a deep sense of groove, Joey Baron drums with playful exuberance. Throughout his more than 35-year career, he’s propelled experimentalists like guitarist Bill Frisell and saxophonist John Zorn, as well as mainstreamers like vocalist Carmen McRae and saxophonist David Sanborn. He’s even played with pop stars David Bowie and Marianne Faithfull. But Baron makes no distinctions between gigs, keeping an expansive, welcoming view of music. After leading the groups Barondown, Down Home, and Killer Joey, he’s recently focused on percussion work in solo, duo, and trio settings. 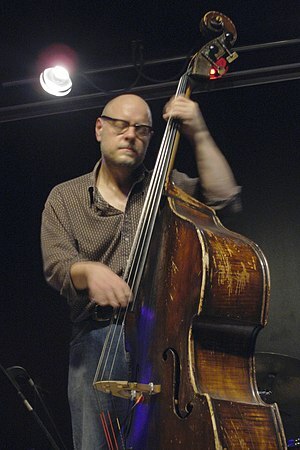 A rare December, 2009 solo concert at Roulette offers the chance to experience Baron’s artistry at its most distilled.